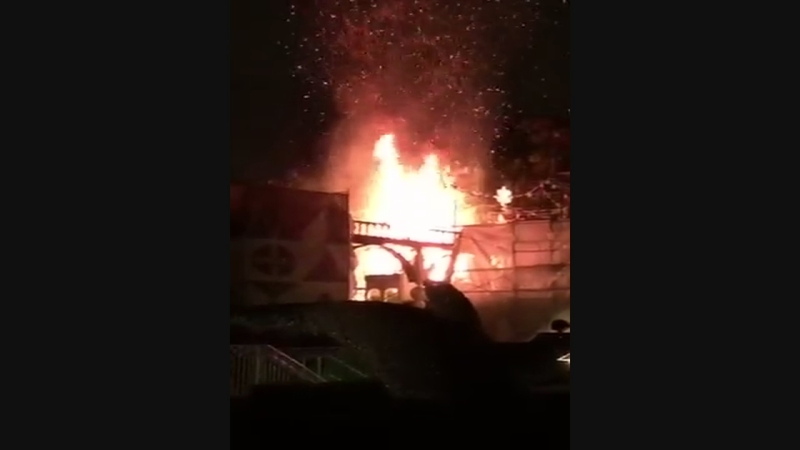 A small fire was knocked down near the "It's a Small World" attraction at Disneyland on Saturday night. ANAHEIM, Calif. (KFSN) -- A small fire was knocked down near the "It's a Small World" attraction at Disneyland on Saturday night. Firefighters responded to the scene and put out the blaze shortly before 10 p.m. Disneyland spokeswoman Suzi Brown says the fire broke out in a backstage area adjacent to the attraction. "It's a Small World" was not damaged, and no injuries were reported. The cause remains under investigation, but Brown says the fire is believed to be related to fireworks. The attraction was shut down but reopened Saturday night. KABC-TV in Los Angeles contributed to this report. Firefighters knocked down a fire at Disneyland on Saturday night.